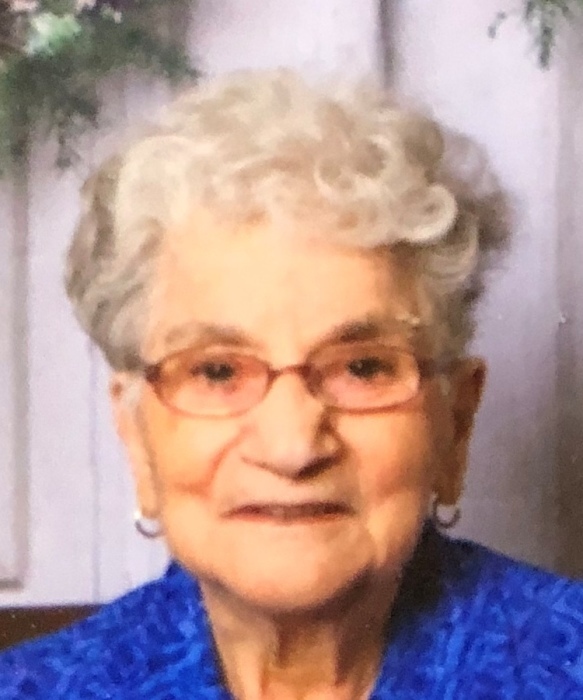 Obituary for Margaret J. Valentine | Giunta-Bertucci Funeral Home Inc.
Margaret J. "Jennie" Valentine, 92, of Oakmont, formerly of Creighton and New Kensington, died Sept. 12, 2018, at Presbyterian Senior Care, Oakmont. She was born Jan. 16, 1926, in Waynesburg, Ohio, daughter of the late Steve and Mattia (D'Altorio) Valentine. Besides her parents, she was preceded in death by a brother, Joseph Valentine, and a sister, Mary Cardella. Jennie was a member of Mt. St. Peter Roman Catholic Church, New Kensington, and the Addolorata Society of the church. Jennie enjoyed crafts and volunteering at the Presbyterian Home. She also worked at Allegheny General Hospital for more than 20 years. Survivors include a Sister, Rose Aloi, of New Kensington, and nieces and nephews. There will be a funeral Mass celebrating Jennie's life at 9:30 a.m. Saturday, Oct. 27, 2018, at Mt. St. Peter Roman Catholic Church, New Kensington. Everyone please meet at the church. Burial will be private. Arrangements are under the care of GIUNTA-BERTUCCI FUNERAL HOME INC., 1509 Fifth Ave., Arnold, PA 15068, JohnPaul Bertucci, owner/supervisor. To leave an online condolence, visit www.giunta-bertucci.com.